I thought that Cornish was a dead language? 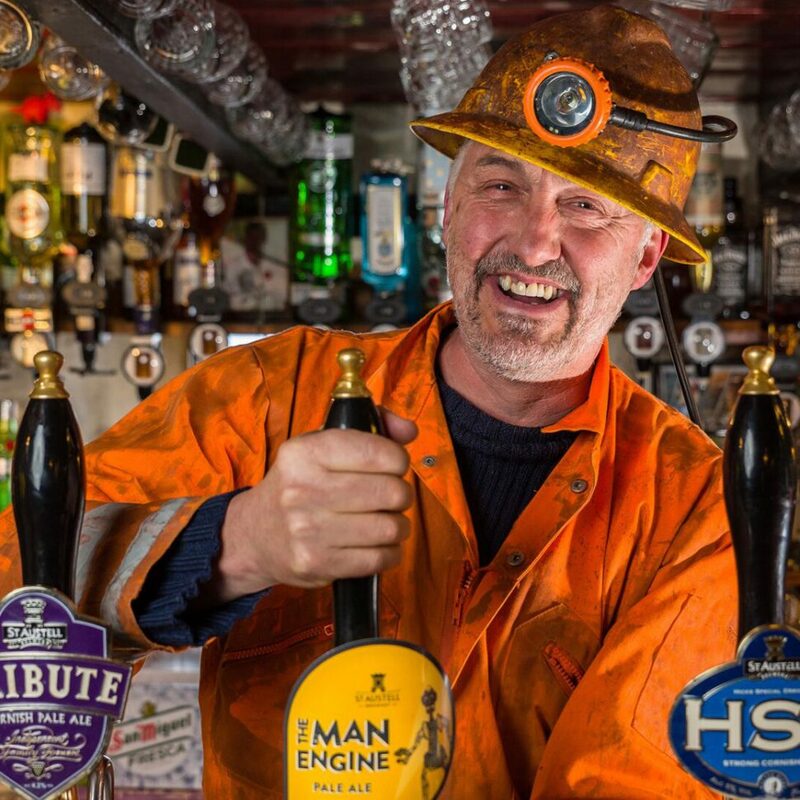 Cornish is a revived language: there are a couple of hundred really fluent speakers, but the numbers of people who can hold a limited conversation runs into thousands – not bad for a ‘dead’ language! Are there words for ‘computer’, ‘internet’ and ‘email’? Yes there are, they are; ‘jynn-amontya’, ‘kesrosweyth’ and ‘ebost’. We even have words for the ‘underground’, ‘motorway’ and ‘Premiership football team’ (‘tren pib’, ‘gorfordh’ and ‘para peldros Premiership’) even though there are none of those in Cornwall! Who decides what these new terms are? As in all languages (including English) some words take off and others sink into obscurity. Take the word ‘computer’: in English this word used to mean ‘a person who does arithmetic’ and the machine we call a computer was always a ‘digital electronic computer’! The Academie Francaise calls it an ‘ordinateur’, even though an actual Frenchman/woman may well say ‘le computer’ and in German you might hear ‘rechner’ but nearly everybody says ‘computer’ nowadays. 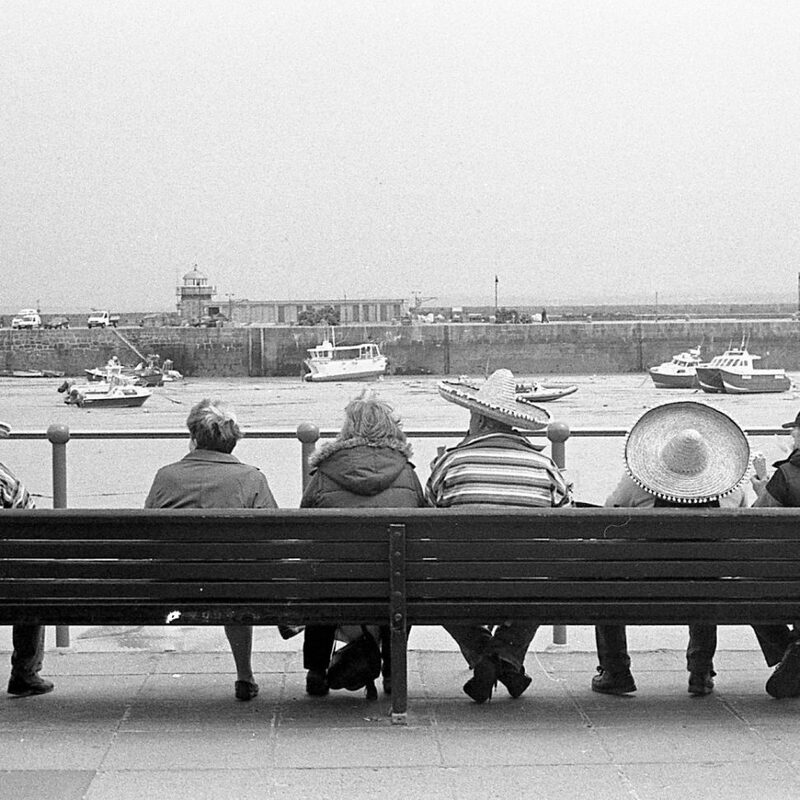 In Cornish in the 1980s there were three different words in common use: ‘komputer’, ‘reknell’, and ‘jynn-amontya’. The last of these, ‘jynn-amontya’, won out (and ‘reknell’ became ‘calculator’). I’ve never heard Cornish spoken. Who uses it, when and where? The Cornish language is undergoing a pretty extraordinary revival. There are over 30 classes running throughout Cornwall as well as classes in Bristol, Cardiff and London. There are also a dozen or so ‘Yeth an Werin’ (informal group discussions, usually held in a pub) all over Cornwall and beyond for fluent speakers. Today there is a wealth of Cornish language poetry, song and films as well as websites, internet groups and some pretty good learning apps. There is even a Cornish language radio channel. 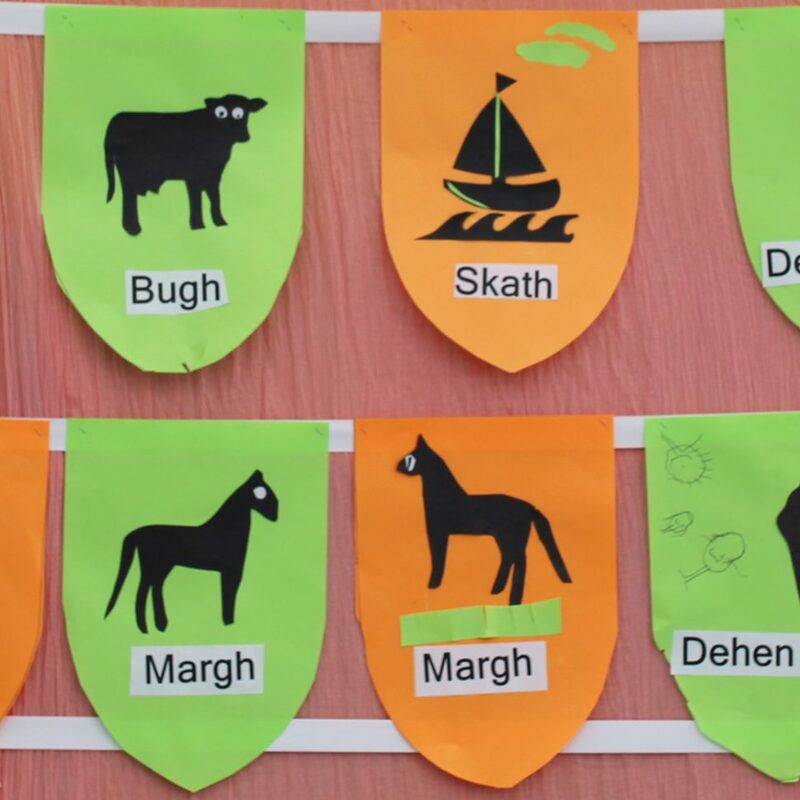 Cornish language plays an integral part in Lowender Peran, Gorsedh Kernow, most Pirantide celebrations and many more festivals. This includes the ‘Nadelik Lyskerrys’ (Liskeard Cornish Christmas) and ‘Gool Peran’ (St. Piran’s Day). What’s the point of learning Cornish? In our experience, a knowledge of the Cornish language helps those who visit or live here better understand Cornwall’s unique cultural landscape. We also believe that it is important for people across the UK and around the world to have the opportunity to learn our beautiful Celtic language. Although this seems like a simple question, there isn’t a one-size-fits-all approach to answering it. Indeed, just as various names go in and out of fashion, the Cornish language is ever-evolving and developing with some words taking off and others sinking into obscurity. Have a read of our ‘What’s My Name in Cornish?’ article to find out more. Is Cornish taught in schools? Yes, a few. We have started clusters of schools in Penzance and Liskeard. A third cluster will be starting in the summer of 2019. Now that the Tales from Porth materials are available free online, any teacher anywhere can make a start, even if they don’t speak Cornish themselves! Contact us for more information about our schools work. Can you communicate with a Welsh or Breton speaker? To some extent: about half for Welsh and about two thirds for Bretons. For instance, the word ‘land’ in English is ‘tir’ in Welsh, Cornish and Breton or ‘terre’ in French. Many Cornish words are 3 for 1 Brythonic bargains! It’s great to visit Brittany and Wales and be able to know the meaning of some signs and place-names. What about speakers of Irish, Scottish Gaelic and Manx? There is not much that is mutually intelligible with the Gaelic languages – but we do know how to party together! I’ve seen the Cornwall Council street signs. How much extra is that costing? Nothing! English-only signs are replaced as needed and the contractor provides a bilingual sign for exactly the same cost. The experts on the Akademi Kernewek also work for nothing. Is the Cornish language officially recognised? The Cornish language was recognised by the UK Government under the European Charter for Regional and Minority Languages in 2002. In 2014, certain language rights were further confirmed when the Government recognised the Cornish people as a National Minority, in accordance with the Framework Convention for the Protection of National Minorities. I was told that there are different forms of the language? Ah ha: the spelling question! Around the globe, most minority languages have struggled to settle on a unanimously accepted spelling system. So has Cornish. The Cornish you’ll find here is using the Standard Written Form. This was adopted by Cornwall Council and the community in 2008 for use in ‘education and public life’. Other spelling systems do exist and anyone is entirely free to spell their Cornish however they choose to do so. A bit like the differences between American English and British English: colour/color, theatre/theater, apologise/apologize. Is it easy to learn the spelling and grammar? Yes: we use a standard Latin script, there are no silent letters, there are no accents, umlauts or other diacritical marks – it is a WYSIWYG language (What You See Is What You Get!). Cornish is a European language meaning that a lot of the basic components and rules are similar to those in English, French or German (sentences are made up of nouns, verbs, adjectives etc). The best way is to jump in and get learning!